Adding a bit of color to your makeup makes you look amazingly great. These gorgeous glasses makeup tips give you a boosted vision s well as perk up your overall beauty. Try them and you will be happy with the result you’d achieve. The majority of women who put on eyeglasses, surprisingly and erroneously think that they can’t put makeup or there is no need for them to wear eye makeup. The common thought among women who wears glasses is that no one actually sees their eyes when wearing glasses and as such, it makes no sense. This thought is erroneous. 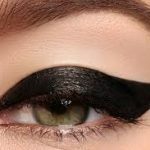 This is the reason; giving your eye a little bit definition with liner and eye shadow improves the visual appeal and makes your eyes come a little bit forward. These gorgeous glasses Makeup tips in turn prevent them from been swallowed up by the frames of your eye glasses. Also grooming your eye brows, even when they are partly covered, as well fixes things more appropriately. When you put the tips you’d be surprised and astonished to notice how much bigger and twinkly your eyes would appear. A neutral eye shadow will hardly show under glasses. Therefore, dust a soft plum color shade which normally looks great on everyone across your lids. After that, make use of a damp eyeliner brush to trace a bit of the eye shadow along your top lash line. Do the same on your bottom lash line. Putting on a pair of eye glasses can make your eyes look smaller. Try this gorgeous glasses makeup tips to open them up by drawing black eye pencil along your top lids. 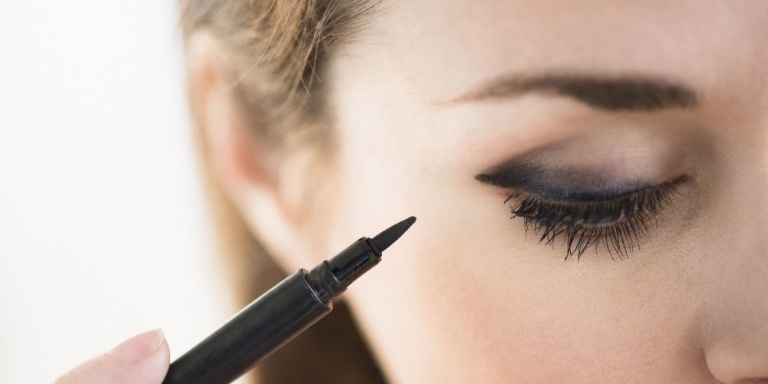 On your lower eye lids, draw the black eye pencil only on the outer half of the lid. Never mind, this won’t feel like too much immediately you put your eyeglasses frames are on! You need to darken your lashes but you not need to lengthen them. Lengthening them would result in the tips hitting the lenses. 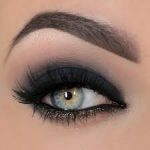 Smudge a significantly bold wand of mascara into the bottom part of your lash line and after that, give it a little waggle and then pull it just midway through the lashes. Occasionally, the eye glasses can cover part of your eye brows. Even when this is the case your eye brows are still visible for example when you lean your head over. Therefore with the use of an angled brow brush, lightly apply a powder that is one shade lighter than the hairs. However if you have blonde looking eye brows, go for a darker shade instead. When you have done this, check back in the mirror and see that these gorgeous glasses makeup tips are just must do for every woman who put on glasses especially if you want to perk up your beauty and look. Although, sleeping with your make up once or twice won’t cause any serious harm, forming the habit of sleeping with your mascara can make your eventually fallout. Your eyelashes are your treasured little delicate beauties. You must not allow them to wear off just for leaving your makeup on it over night. 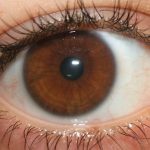 You need to avoid this if you hope to protect your lashes and make them remain healthy, long, and thick. Again remember to be gentle with your lashes when you wash off the makeup and clean them. This would make your lashes weaker and fall off easily.